Oliver Stone’s cinematic output has been hit or miss. The hits leave a mark: Platoon, JFK, Salvador. Unfortunately, it’s been mostly misses this millennium. But any time Stone has a topic that means something, one with government conspiracy and one hyper-serious guy trying to make things right, at least he’s in his wheelhouse. Snowden offers him exactly that. Opening with the clandestine meeting between NSA whistleblower Edward Snowden (Joseph Gordon-Levitt) and the journalists who would make the 2014 documentary Citizenfour (see it if you haven’t), Stone takes us through the harrowing journey that led to that taping. Gordon-Levitt continues to impress in a performance that is eerily authentic. We see Ed as an optimistic patriot who becomes increasingly more outraged by what he sees and does with his high-security clearance for the CIA. Interestingly, what the film itself lacks is outrage. Ed Snowden’s personality is very subdued. This no doubt benefitted his escapade, but it does not make for a vivid film. And while vivid is Stone’s middle name, his attempts to enliven the story too often feel like tricks from an old bag: the mysterious mentor who conveniently shares information just when it’s most provocative; intensely suspicious camera angles; ominous score. For the most part, though, Stone dials it down this time around, and that’s kind of a shame. Just a touch of the hyperbole and bombast of his usual fare might have benefitted a film that should deeply shock and appall, but does not. Streamlining would have helped, as well. The 2+ hour running time sometimes feels like 3, often because Stone and his team of writers skim across so much information rather than digging deeply in a single area. A large supporting cast includes some real gems – Zachary Quinto is especially good. Many of the minor characters, though, are so cartoonishly drawn (Rhys Ifans, in particular) that they distract from what is, in most areas, a reasonably realistic portrait. There are just enough Stone-isms here to make the film irritating, but not enough to leave a mark. 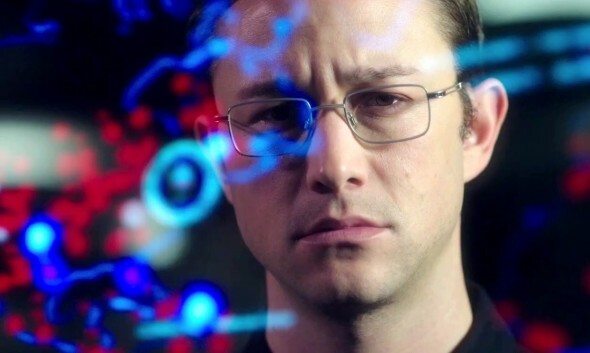 Despite strong performances and directorly panache, Snowden feels unfocused. Worse still, it lacks the gut punch that it should deliver.